Explosion proof chain hoists feature NEMA 7 enclosures, making them ideal for hazardous environments. These chain hoists have spark-resistant features, which are designed to reduce the likelihood of sparking during normal lifting operations. 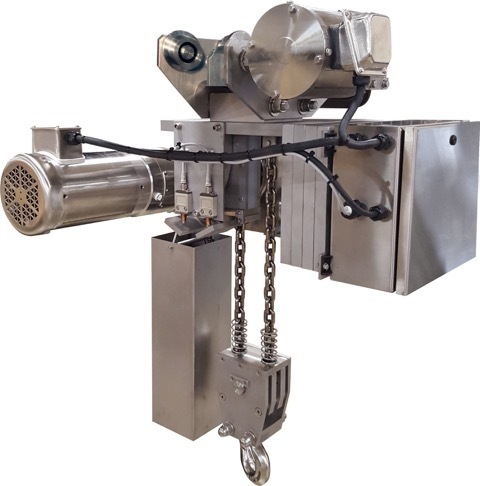 Stainless steel chain hoist products are used in cleanroom applications such as pharmaceutical, food processing, and electronics manufacturing where contamination from rust or flaking paint is unacceptable and unsanitary. 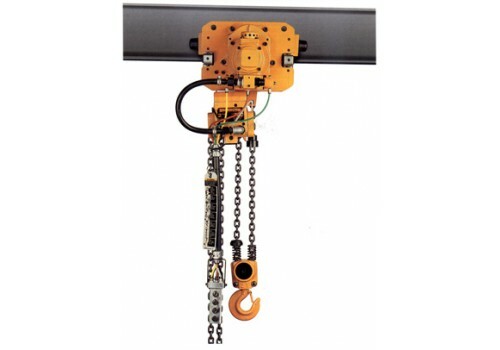 Custom hoists are specifically designed for their intended application. Whether you have clearance limitations or unusually demanding work environments, we’ll help you get the chain hoist you need. Variable speed chain hoists, also known as die setters, are designed specifically for accurate, low-speed placement of dies and molds. Unlike other creep or step-controlled chain hoists, the hook travel on our variable speed chain hoists is available in both the up and down directions. Electric chain hoist products use the latest technology, resulting in high quality, low headroom, and full-featured hoists. 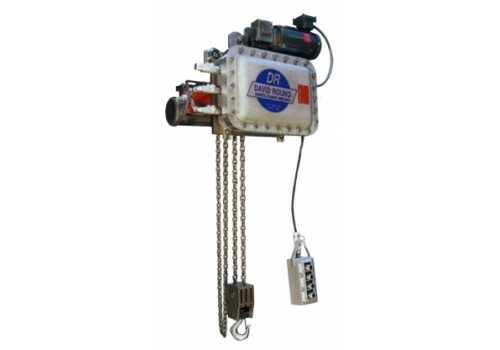 With capacities from 1/8 to 5 tons, these chain hoists are engineered to get the job done. Air chain hoist products feature an unlimited duty cycle, making them suitable for continuous operation in demanding environments such as in foundries. Most David Round products are available in stainless steel construction. Please consult factory for availability.